Discussion in 'Classic Manual Cameras' started by Shutterspeedblog, Oct 23, 2018. Can someone help me identify this lens? It would normally have a RED T after the 58 but this looks like a red "I" with a horizontal line through the center? Maybe a prototype or perhaps a knock-off? This post below shows a Tessar in Exakta mount with the same symbol, but doesn't really give an answer to what it means. Perhaps something to do with Ihagee? From what I've read, the serial number would date manufacture between 1952-1955, so I don't know about it being a prototype. Biotars were around for a while before that. What's this strange T marking on a 58mm F2 Biotar? Link that may be of some help ..
That's an excellent link, full of interesting and quirky information! Maybe a prototype or perhaps a knock-off? 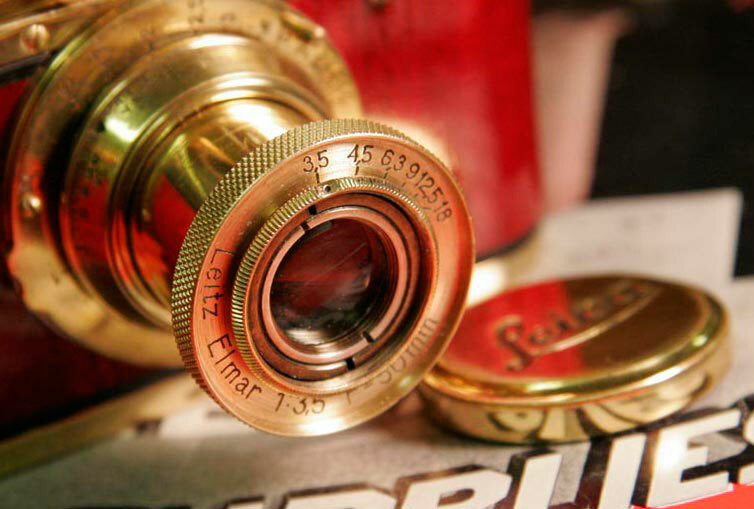 - The serial number says it's not a prototype, and who would 'knock off' a Zeiss Jena Biotar? To me it looks as if someone has re-inked the engravings to smarten up a worn or dirty lens. Maybe they also had a go at the red 'T' marking with an engraving tool for some reason? Apart from the blobby engraving-filling, it looks exactly like the preset f/2 Biotar that came with my Praktina FX, bought used in 1965. Maybe the strange character was put on lenses for the Soviet market? Wrangles with Zeiss Oberkochen never seemed to worry CZJ. The serial number says it's not a prototype, and who would 'knock off' a Zeiss Jena Biotar? Perhaps every other lens maker has used this design, including the Leica Summicron. If you look closely the bottom and middle bar are done after the vertical bar, whatever that means. It was a 'T' before it was crossed; could it be a "seconds" mark? Rodeo Joe probably has its history right in his first suggestion-fooling around. Thanks for the link. I would suspect that there would be more of them. I looked at it under my microscope and saw that it there are TWO sets of engravings. What looks like a lower, or first engraved, "T" and with one color of red and a second engraving, slightly mismatched to the "T" with one vertical and three horizontal bars and filled with a different color red. This must have been done to the remaining stock of lenses that violated the Zeiss (West German) copyright. Thank you everyone! That does have a kind of "home made" look up close, doesn't it? To the Russians, that was close enough!